March 25th, 1932. The limestone caves Bronsdalgroeve and the Vlaberg on Geulweg, Meerssen-Geulhem. 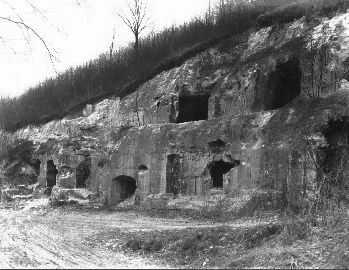 In this subterranean part of the limestone quarry the provisional hostel for people to hide (“divers inn”) was located during the war. Suddenly the Germans wanted to get out and never came back again.